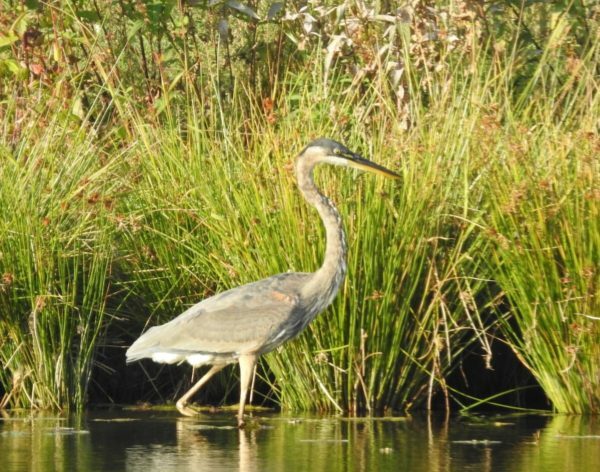 I saw a great blue heron today, which means I’ll probably start seeing sandhill cranes again soon, as well. It was on the other side of the pond and I didn’t have my monopod, so I didn’t get much good in the way of the pictures. But maybe that’s good, because it caught something. 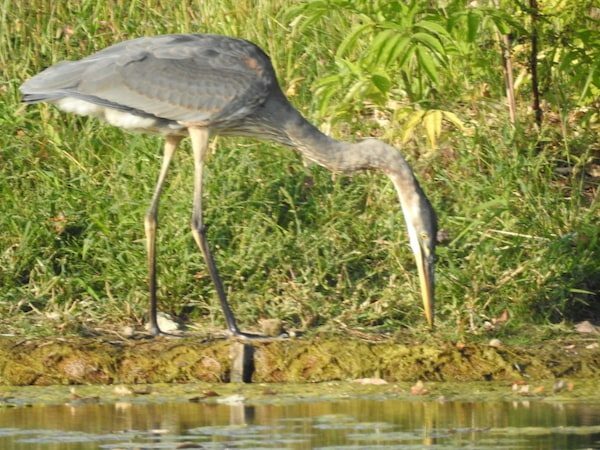 The picture quality is so bad, you can just tell yourself it’s a piece of mulch or a muddy rock, and not a frog like herons are wont to eat. 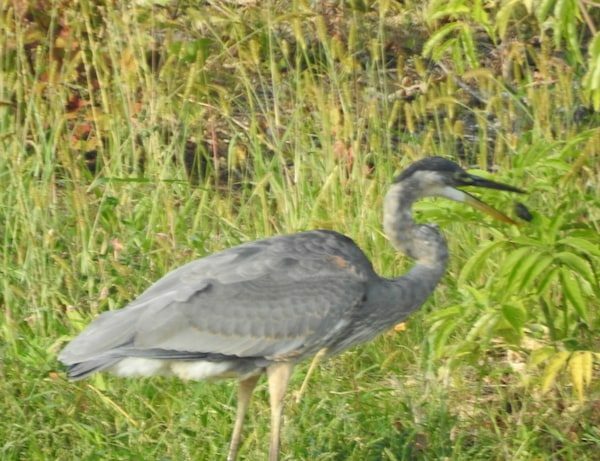 The heron opened its beak, possibly in an attempt to eat the thing. But it failed to eat the thing. It just caught the thing again in the tip of its beak; dinner was no further toward the gullet than before. And there goes another drop/toss. At which point my camera shook and I lost track of what was going on. 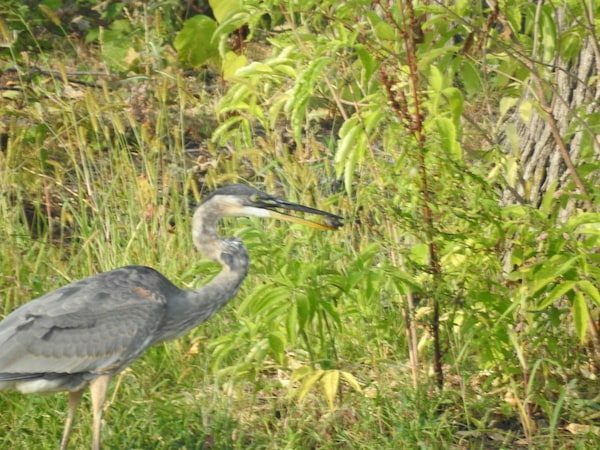 Did the heron eat the thing, or lose it? 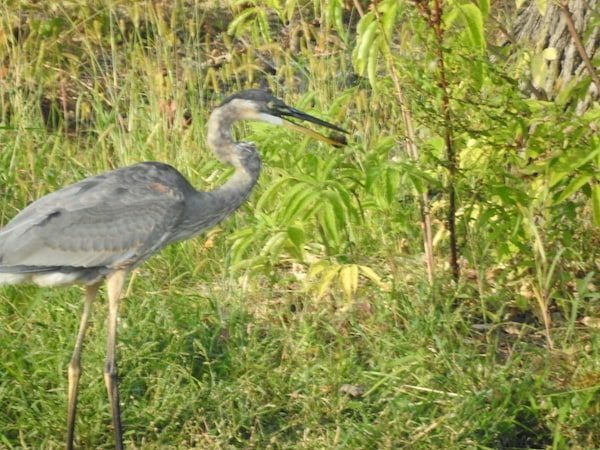 Heron looking for food. Is it looking for food it dropped, or a new morsel? Somethings will forever remain a mystery. You can check out more bird posts here.